Much buzz around The Wolseley comes from its exquisite afternoon tea. With this selection of gifts, those unable to visit the London institution can take a taste of it home by way of our loose leaf tea and iconic silverware. 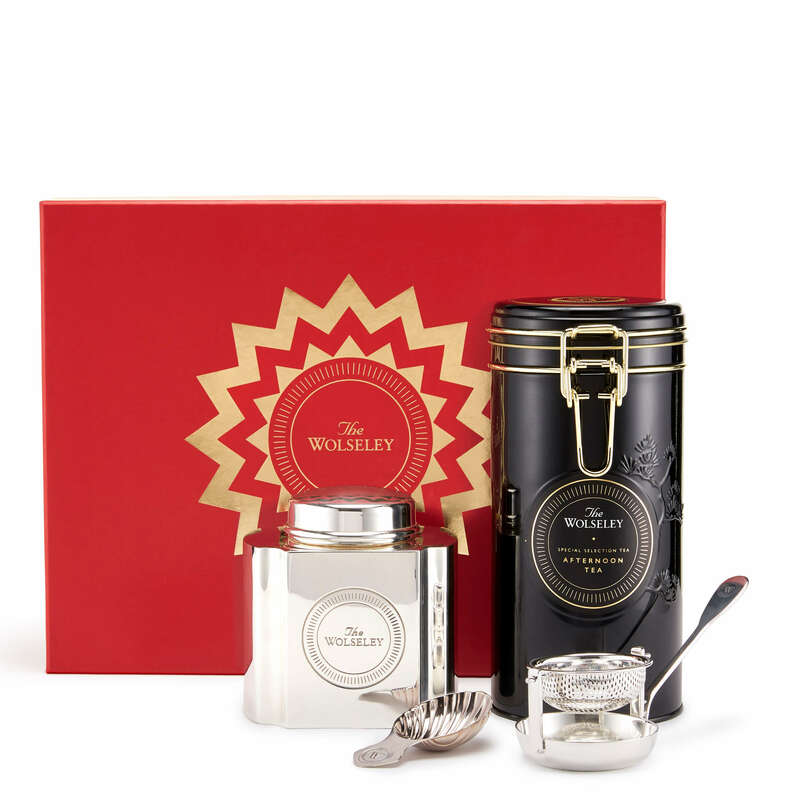 The Wolseley’s Afternoon Blend is a finely balanced black tea infused with delicate Darjeeling and the floral sweetness of Formosa Oolong. Best served of course, as it is in the restaurant, with our silver-plated swivel tea strainer. This smart silver-plated caddy and accompanying caddy spoon with its Art Deco shell design also make beautiful additions to the tea tray.